Robometricschool. - In this time we comeback again with our information to you in tips and trick on How to parts. In here we will share with you about information tips on How to Maintenance our Samsung Galaxy S4 Smartphone Battery Easily and publicly this tips to all smartphone batteries. When we said about how to maintenance or save our smartphone batteries also like for Samsung Galaxy S4 battery, there are two way to maintenance this battery. These are Physic maintenance and also non physic maintenance. Keep our smartphone battery from hot extreme or high temperatures. The temperatures over 40 C degrees can make our smartphone performance down significantly. Extreme temperature will cause thermal runaway as chemical reaction additional that can cause our lithium battery explode. Keep the additional battery for our smartphone from electric short. Electric short can be caused we not careful when bring this battery like in our pocket. Specially when we bring it with metal money that can make our battery connecting and short. Not economical battery in our smartphone can be caused from the application using not proportional. When we always or often use application in our smartphone can make our battery empty very fast. So in here we must keep it. And here are some ways to make economic battery used. Please turn off your GPS application in your smartphone when not used. GPS can consume battery energy larger. Use battery management and monitoring application in your smartphone. This application will help you to manage your battery used an also monitor the battery using. Turn off WiFi and also Bluetooth if not used. Beside GPS, WiFi and also Bluetooth also consume the battery energy highly. Always control task manager in our smartphone. Please turn off the program that still run but not used. Please not use the additional application that not useful but only interesting like animated screen and wallpaper. Please set effectively the brightnees that suitable with our eye, not too bright and also not too dark. 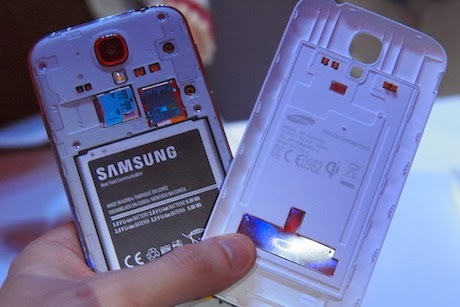 And now you can practice two ways How to Maintenance our Samsung Galaxy S4 Smartphone Battery Easily physically and non physically. Make always your smartphone battery always keeping.